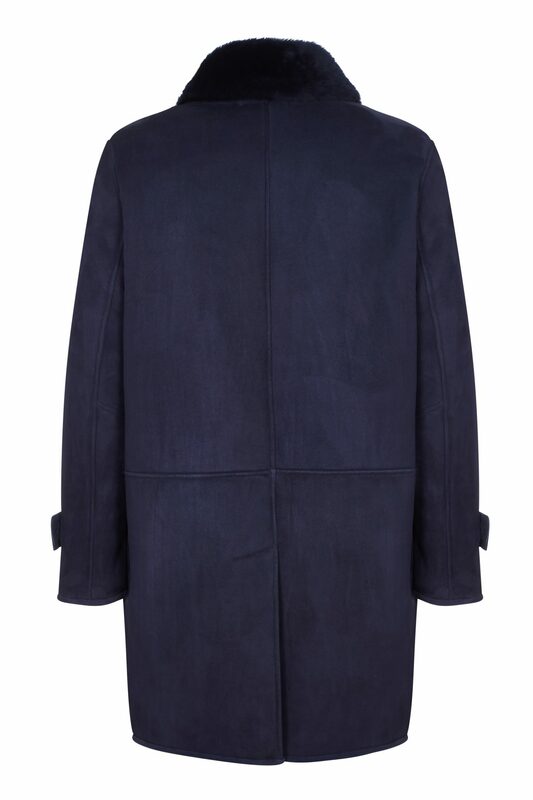 The Washington sheepskin coat, simple clean lines in a warm and luxurious dark navy merino. 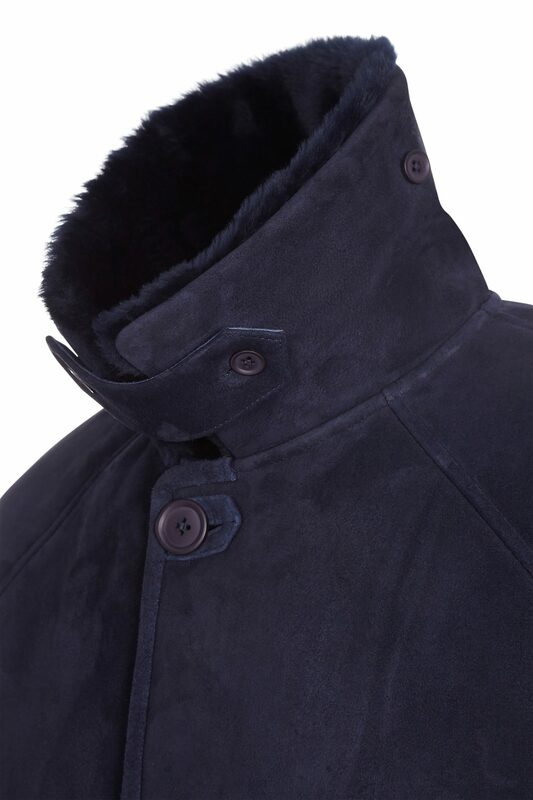 This classic coat features a double thickness collar for extra warmth with a hidden neck tab. Welt pockets, 4 buttons at the front, wrist tabs with button fastening. Single vent at the back.